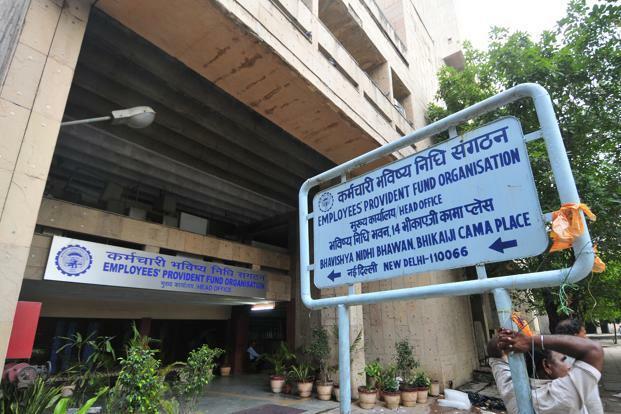 Well,it will be good news for all employees who own a Provident Fund account in EPFO, as the retirement body is about to provide home loans to its members. In current situation buying home in an inevitable process that every employee intended to do at any cost, as per the data analysis more than 60% of employees approaches financial bodies to avail home loans. In recent times, the retirement body experiencing some dramatic changes in its functions like digitalization and also announcement from the higher authorities on reducing the withdrawal form complexions and so. With the intention of supporting the PM’s dream plan for housing for all by the year of 2022, the central government is offering support in all forms as they can. Now the latest amendment to such schemes is the announcement of housing scheme by EFPO. Under this scheme the members of EPFO (Employees’ Provident Fund Organization) can able to make EMI payments for the housing loans that are availed from the financial bodies from their respective Provident Fund accounts. By doing so, the members of EPFO can able to feel from paying monthly EMI’ from their monthly salary as it will be debited from their PF savings automatically. As the EPFO recently cut down the interest rates for the deposits done in the PF account, it will be a great thing for the members to invest those savings in this housing scheme. With this upcoming housing scheme, it is estimated that around 4 crore members of the EPFO will be able to avail the benefits of paying EMI’s from their PF accounts directly. The newly proposed housing scheme by EPFO will be implemented from the month of March 2017, as the financial year gets started by its end. The scheme also provides various options like offering credit limit certificates to the formal sector workers whom may often get rejected while applying for the home loans from the private financial bodies. The credit certificate offered by the EPFO would act as the proof for the repaying by the applicant. In order to avail home loan down payment from the PF account, the group housing society should be formed under that minimum of 20 EPFO members needed to participate. Similarly, as per the rules quoted by the authorities of the EPFO, the governing body has the rights to stop the down payment which will be carried in terms of paying monthly EMI’s, in case of any dispute arises. The recent announcement done by the EPFO has created lot of positive waves among the members as they can now easily avail the home loans from the banks as the certificate provided by the EPFO would act as the proof for repayment. On witnessing these actions taken, it is pretty clear that the government is keen on making the dream plan of PM about making entire nation without homeless people.